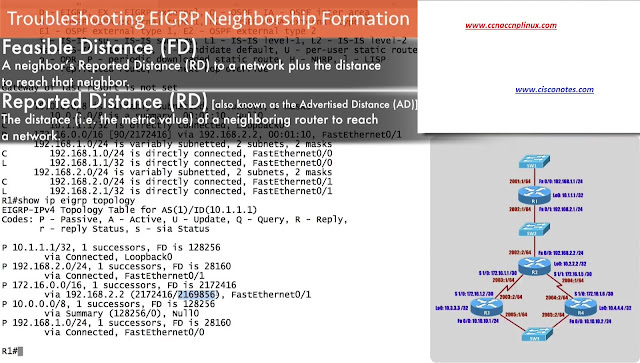 D- indicates EIGRP and we can see that EIGRP has an administrative distance of 90 and 2172416 Feasible Distance to get there. 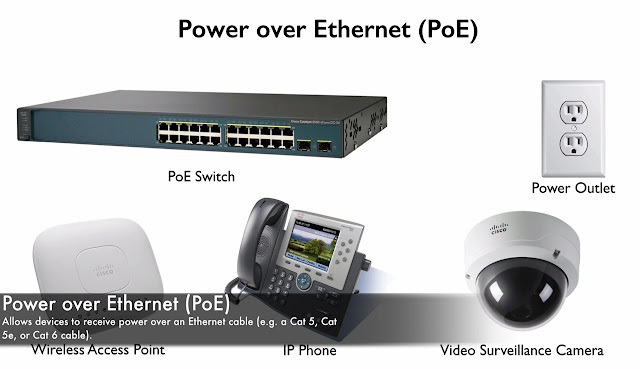 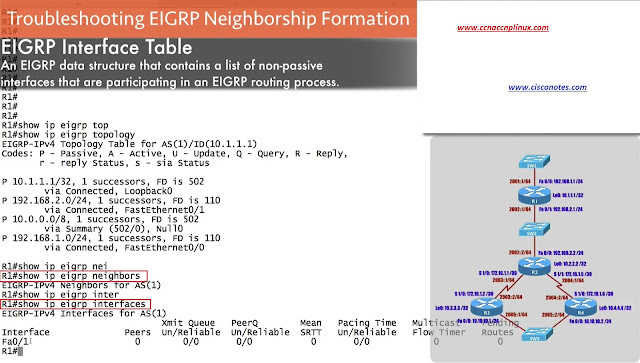 Ø 2172416: - in our topology table this is our Feasible Distance or FD this is the metric first to get to this network. 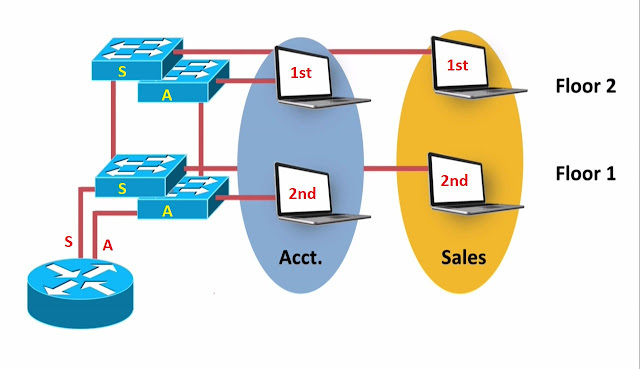 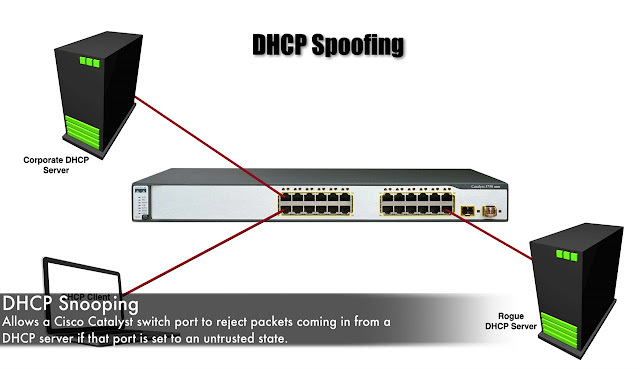 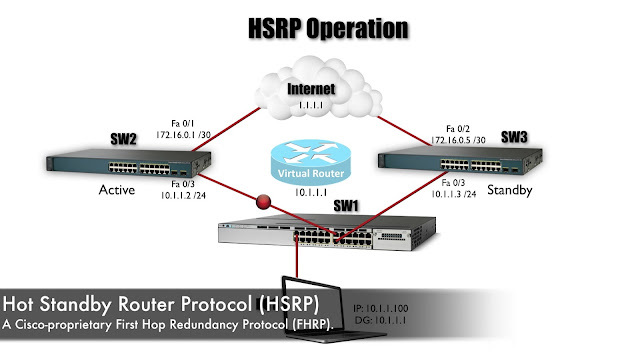 Did you notice that we got something major that mismatch between Router 4 and everyone else, Router 4 is in AS 100 everybody else is in AS 1, that would certainly do an issue lets fix that? 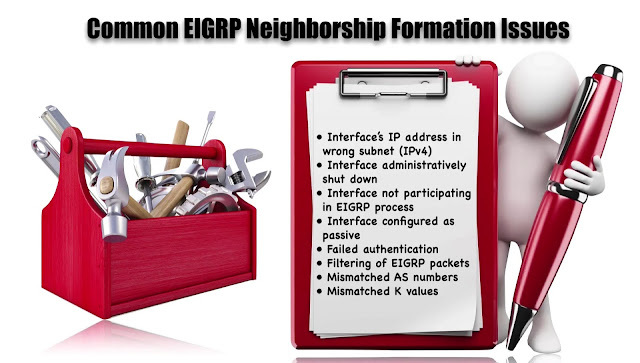 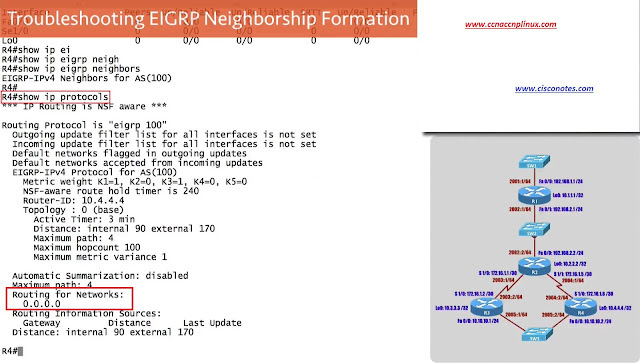 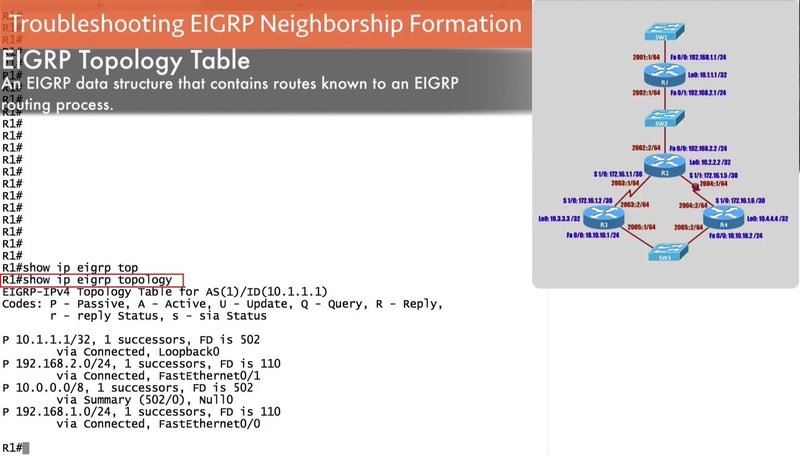 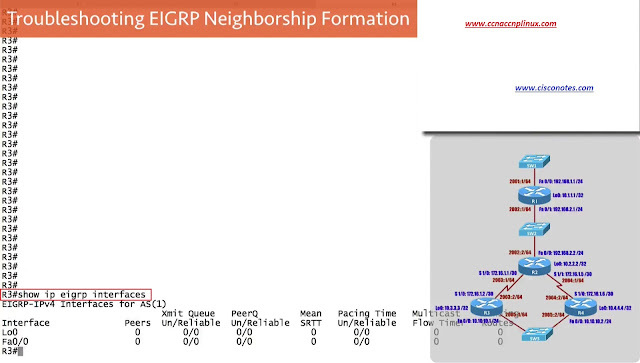 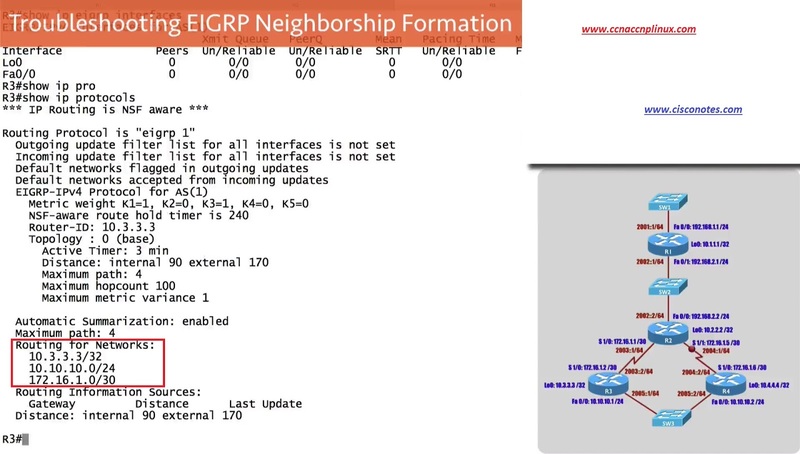 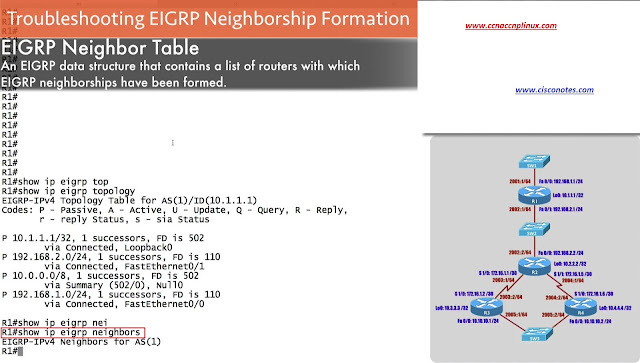 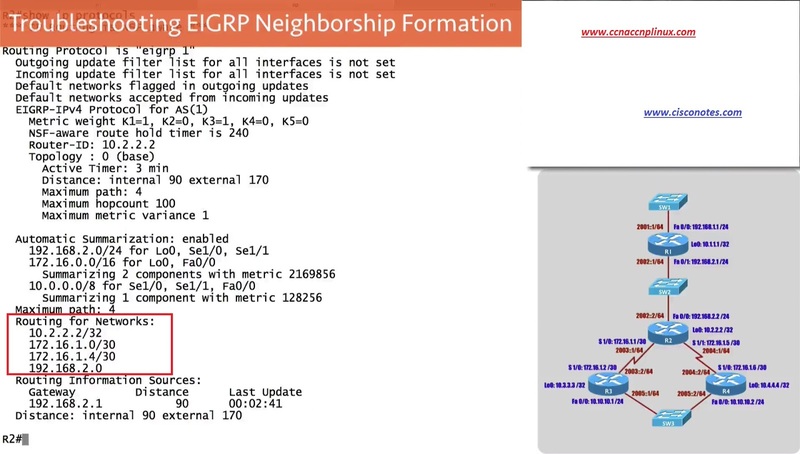 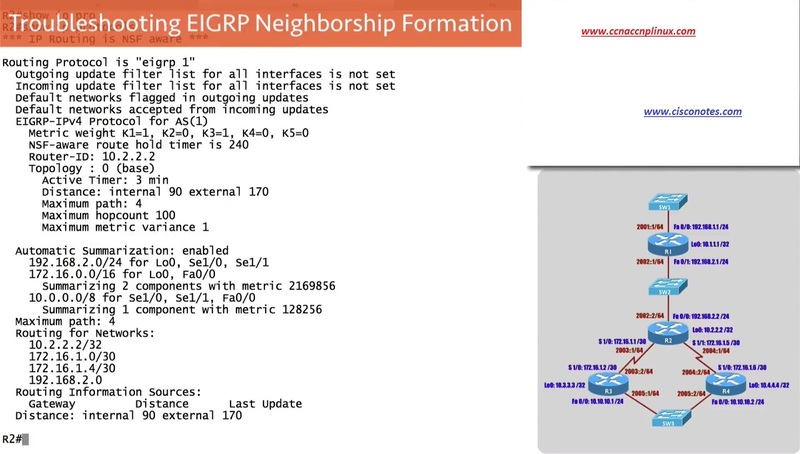 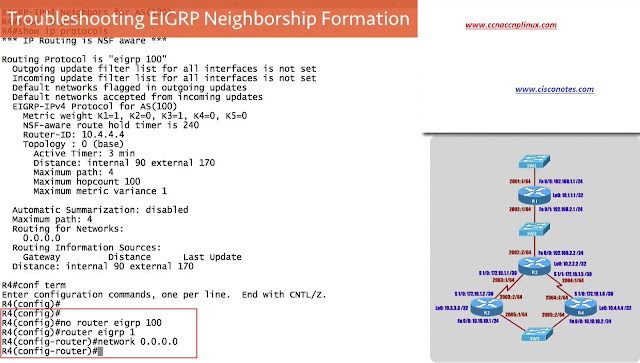 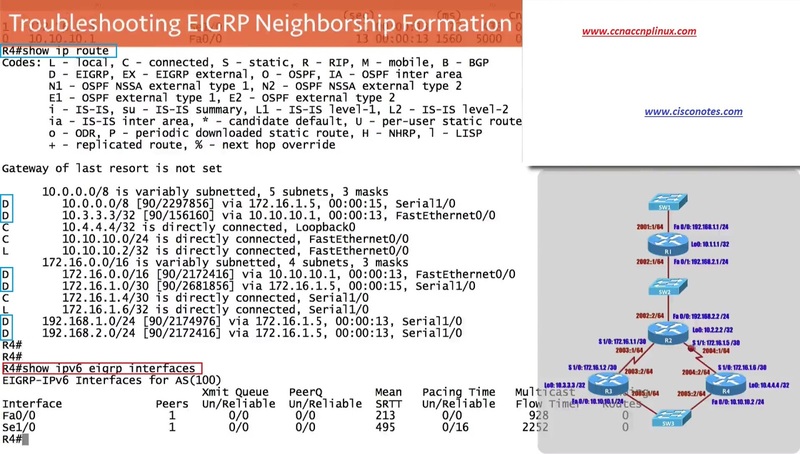 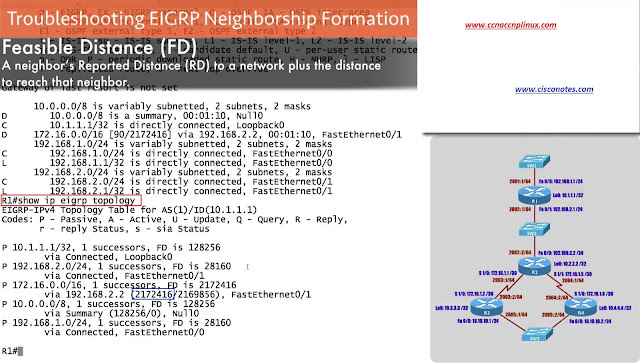 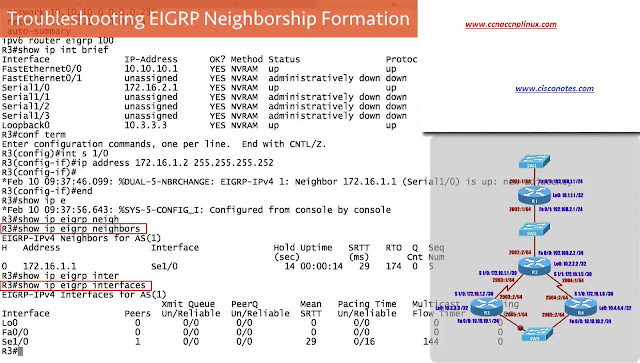 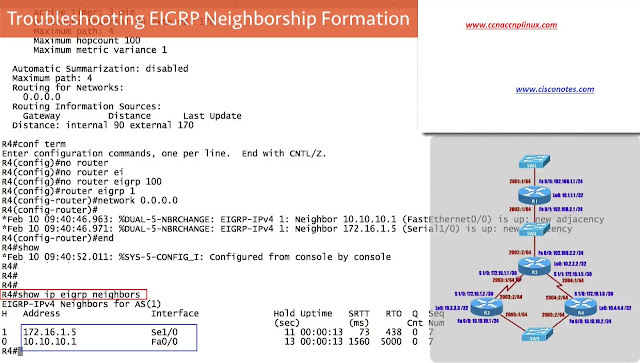 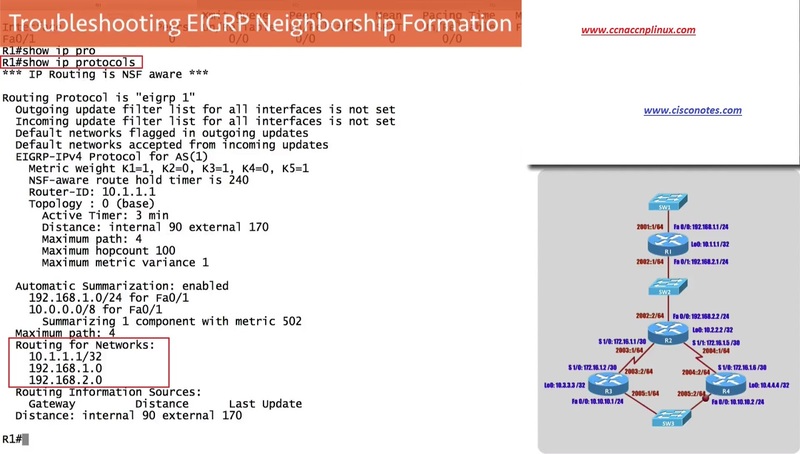 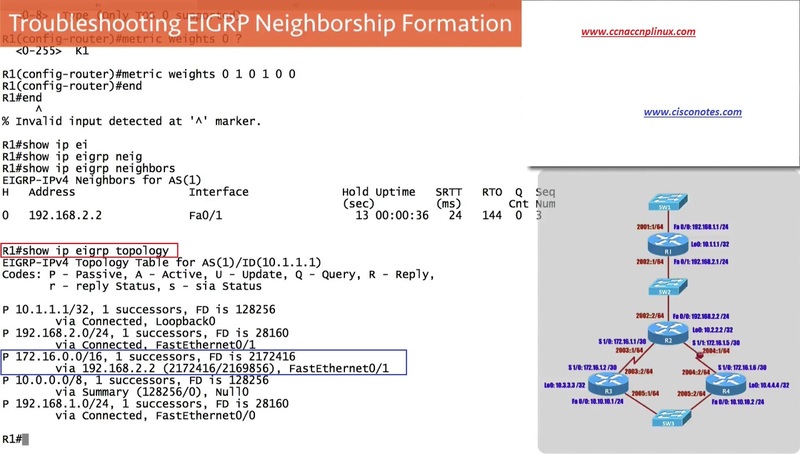 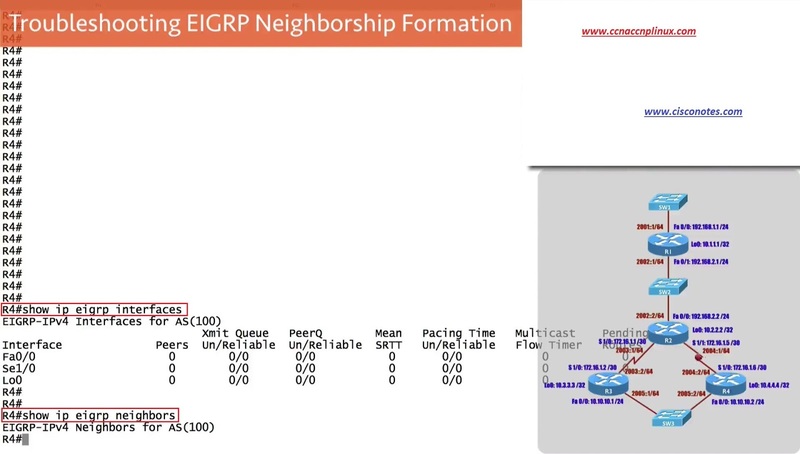 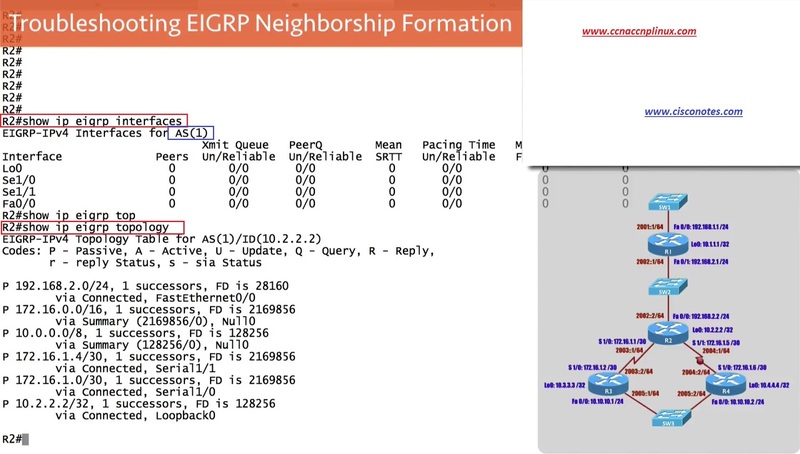 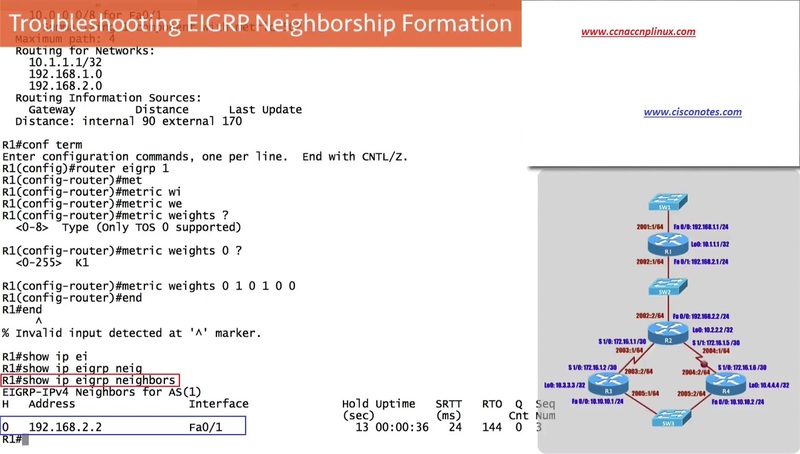 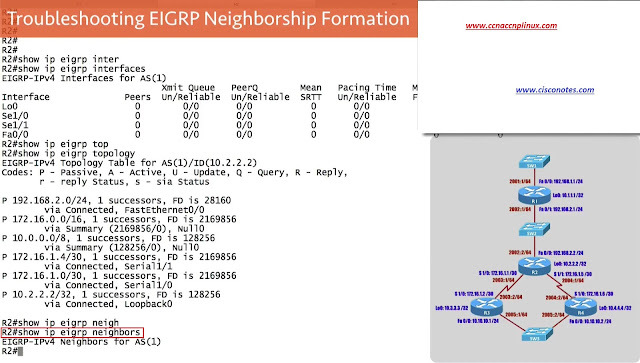 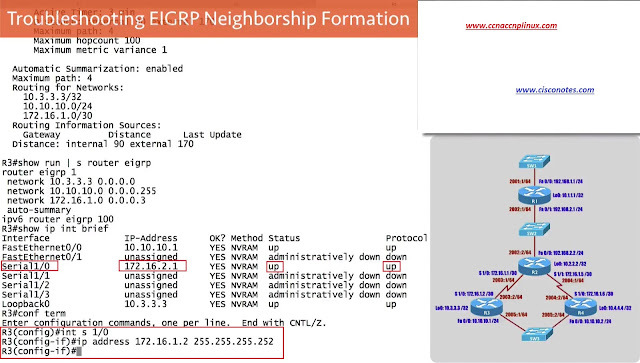 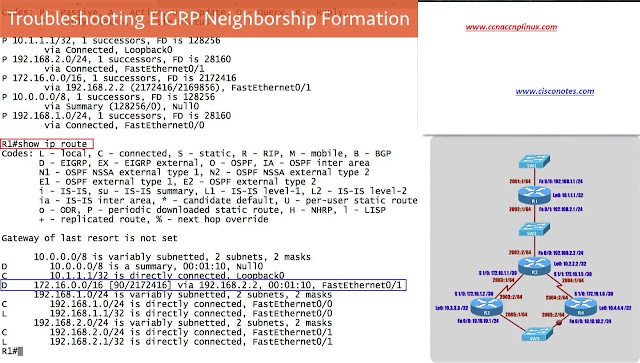 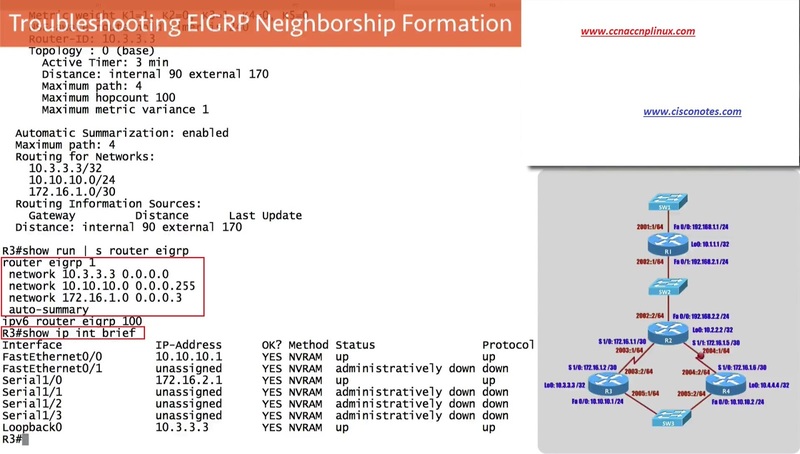 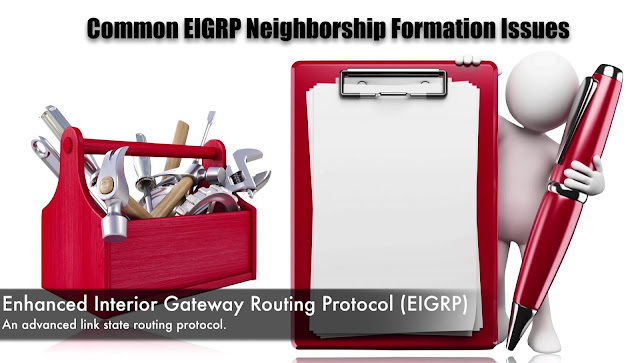 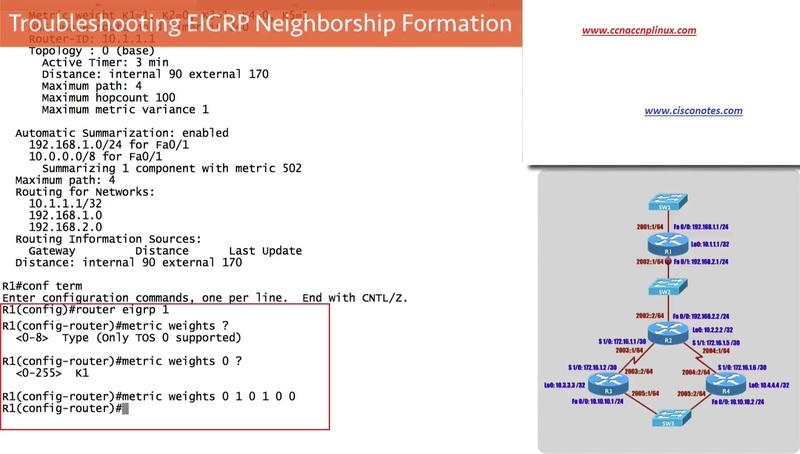 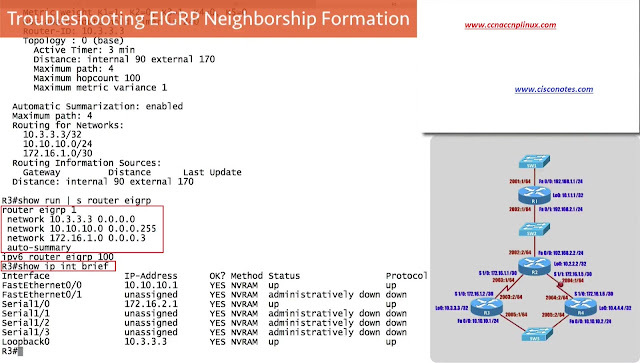 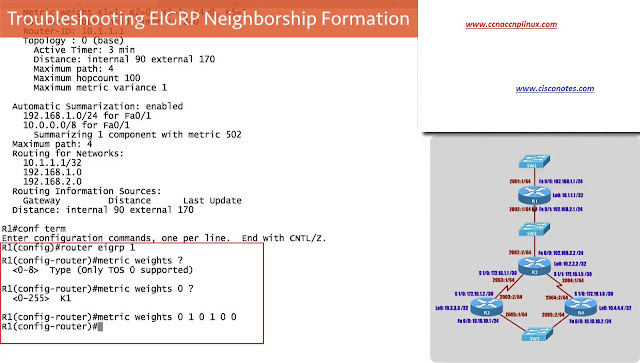 That’s the look at some of really common reason why a neighborship might not be forming with EIGRP and our next session we gonna take a look at anther common EIGRP Troubleshooting targets and that is some of my Routes not showing up, i am not able to learn all of the networks that i think should be learn via EIGRP.